The British Ambassador to Thailand H.E. 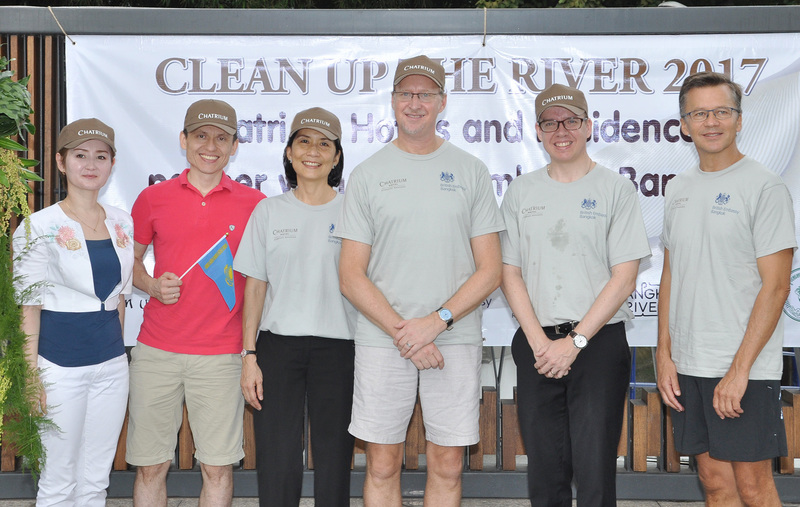 Mr. Brian John Davidson, together with The British Council’s Country Director to Thailand Mr. Andrew Glass, Managing Director of Chatrium Hotels & Residences Mrs. Savitri Ramyarupa and General Manager of Chatrium Hotel Riverside Bangkok Mr. Patrick Manthe, participated in the “Clean Up the River 2017” and “World Ozone Day” event on Saturday 16th September 2017 as part of Chatrium’s “Think First, Think Earth” campaign. The “Clean Up the River” event is part of “Clean Up the World”, a community based campaign for worldwide communities to clean, fix and conserve their environment. 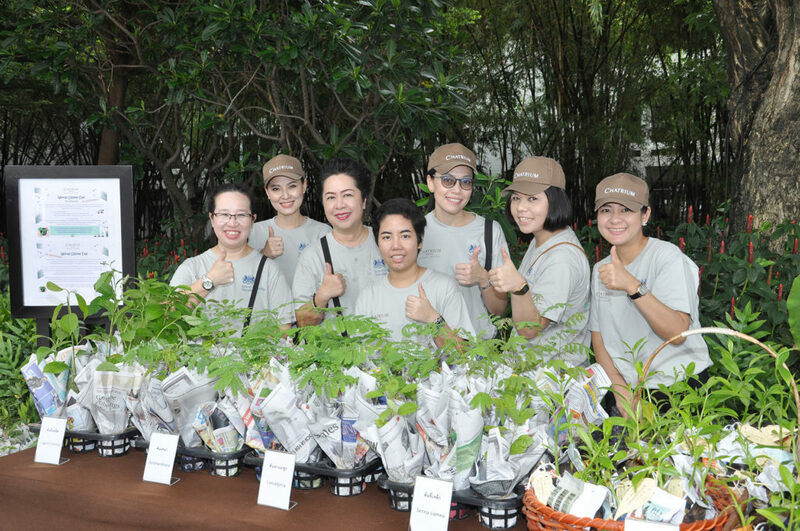 Now in its 24th year the campaign is held in conjunction with the United Nations Environment Program (UNEP), with an estimated 35 million volunteers from 130 countries, making it one of the largest community-based environmental campaigns ever. “World Ozone Day” is held annually to commemorate the 1987 signing of the “Montreal Protocol on Substances that deplete the Ozone Layer”, which created awareness on climate change and ozone depletion. 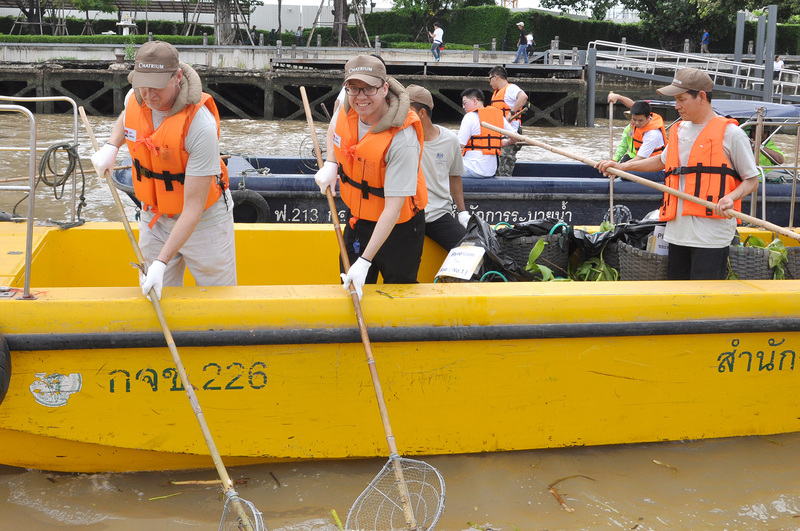 In 2017 Bangkok River Partners and its partner hotels worked with the Bangkok Metropolitan Administration, foreign embassies’ Eco-Capital Forum, local businesses and community groups to remove rubbish from their locales which might feed into the Chao Phraya River and the Gulf of Thailand’s beaches. On the day the Chatrium group and V.I.P. guests boarded boats organized by the Bangkok Metropolitan Authority to collect garbage from the river before handing out plants donated and sponsored by Chatrium Golf Resort Soi Dao Chanthaburi and the Royal Forestry Department to promote “World Ozone Day”, including sea mango, a lengthy evergreen coastal tree with fragrant flowers, and holding a closing ceremony at Asiatique the Riverfront at the end of the day.